Vacation in the quiet, relaxed atmosphere high above Silverthorne on beautiful Buffalo Mountain. This large two bedroom, two full bath condo is ideal for a family or two couples and affords the privacy you desire with a living room and full kitchen separating the sleeping and bath areas. Close to all Summit County ski resorts (Loveland, A-Basin, Keystone, Breckenridge, Copper Mtn.) and Lake Dillon, Buffalo Village is located on the free local shuttle bus line affording easy access to both winter and summer activities just minutes away from your front door. Start hiking or X-country skiing right from the condo in Arapahoe National Forest. It is a short walk to the Lily Lake and Buffalo Cabin trailheads. Club house with ping pong and pool tables, swimming pool,sauna and hot tub are in the building. You also have access to the next building which has another pool, hot tub and racket ball court. An outdoor tennis court is also available. Amenities: Fresh linens, towels, free WiFi, Dish network, DVD player, games, fully equipped kitchen. This Buffalo Village Condo has beautiful views both summer and winter and has the comfortable feel of home. Visit us once and you'll never want to leave. 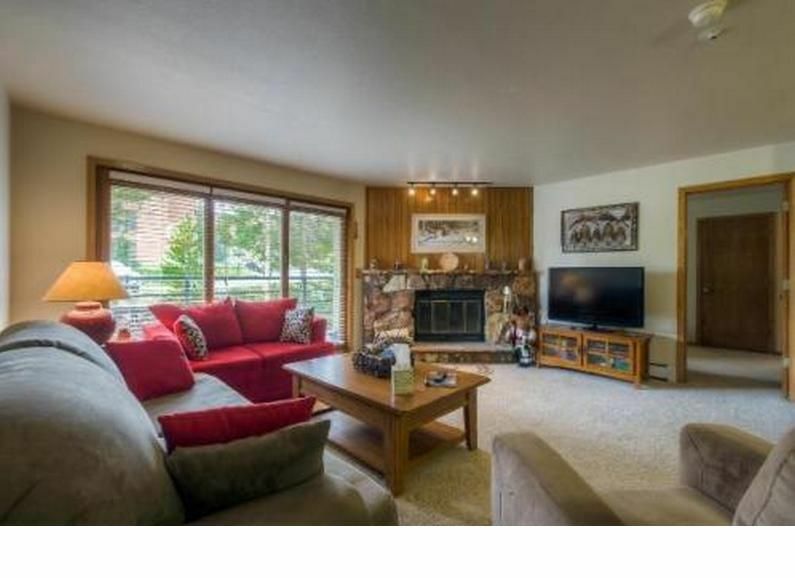 This condo is centrally located in Summit county with easy access to many out door activities. My hope is that everyone who visits my comfy condo comes away having enjoyed the condo and everything the Colorado Rockies have to offer as much as I do. My family and I had a great stay at this condo. It was the perfect size and the location was great to get to ski resorts and restaurants. The condo was very comfortable and well-stocked with everything we needed. Thanks for the stay! Condo was exactly as pictured and had everything we needed. Building includes access to an on-site pool area as well as another facility although we didn’t venture that far. Parking on-site and never more than a few steps from the door. Garbage lid on the dumpster is a little heavy if you’re not expecting it. Beautiful walking up and down the mountain right from the door and a free shuttle stop just outside the parking lot. Silverthorne and Dillon are very easy to access. Though it does take an extra couple minutes to get all the way up the road, it’s amazingly serene while still being so close to all that Silverthorne and Dillon have to offer. It was absolutely perfect for our family of 4, with lots of room to spare. Fully stocked kitchen and everything we needed to feel right at home. We will absolutely be back! Great stay for our family! Wonderful skiing and fun activities. We had a family event in Silverthorne and the property was perfectly located for our needs. It had all the amentities we needed and as was exactly as advertised. Steve had perfect communications with us and I appreciate his attention to detail- on arrival and checkout. Would definitely stay here again.